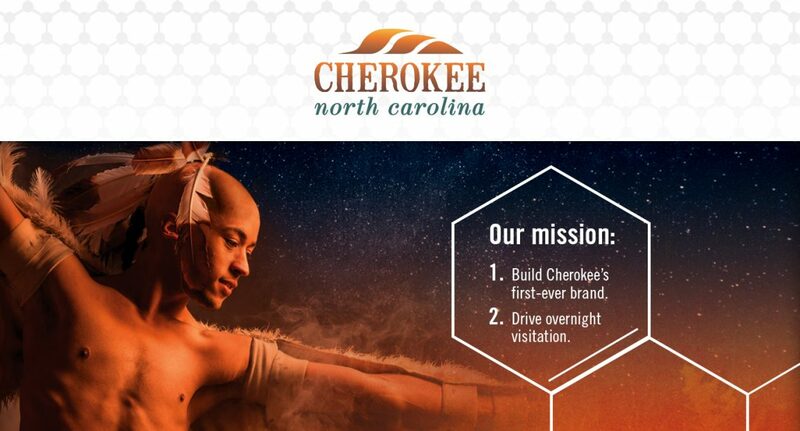 When Element successfully competed for and won the Cherokee tourism account, becoming agency of record for the Eastern Band of Cherokee Indians, the client was ready for a brand reset and a strategic overhaul. Though it’s a location with strong name recognition, and has the cache of being a place, a people, and a culture thousands of years old, Cherokee has struggled against larger competitors with bigger marketing budgets. They were out to gather their various assets under a true destination marketing strategy and brand, one meant to drive overnight stays. Indeed, the metric our success was judged by focused chiefly on occupancy rates across the Qualla Boundary (otherwise known as the Cherokee Reservation). More on that in just a second. As Cherokee had never had a branding process, we asked them to immediately undertake with us a comprehensive approach, blending research supplied from Magellan Strategies and more than 30 individual stakeholder interviews. This data both drove the brand strategy and helped to guide the creation of a Brand DNA Document distributed to all the major vendors who work on behalf of Cherokee. We worked hard on multiple fronts—logo design, web, mobile, traditional print, brochures, outdoor, maps—heck, even bobble heads new messaging to the tourism target. One of the items we developed for Cherokee that’s been a major highlight is a sound mnemonic to be used as an audio signature or signifier of the brand promise. For those unfamiliar with the term, this is Cherokee’s equivalent of the Intel “bong” or the small sound that accompanies their logo. Since we were driving hard to promote the notion that Cherokee is a fun getaway steeped in beautiful outdoor assets and filled with wonderful cultural stories, we recorded what’s known as the Cherokee war cry, a distinct sound made to prepare for battle. It has the effect on the target of being both unique and a call to come and have fun. 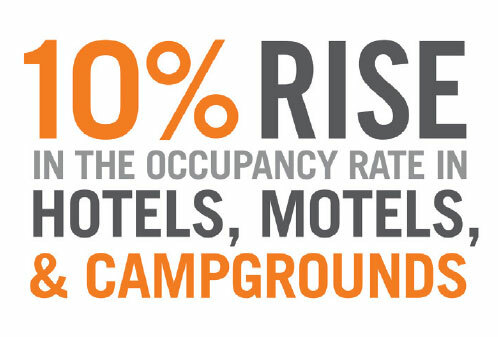 In it’s first year of engagement, Element lifted the occupancy rate across Cherokee’s hotels, motels, and campgrounds by 6.9% in year-over-year comparison, a number the client was very happy to see. Further, the brand retool has received widespread praise from the client, including a strong endorsement from Principal Chief Michell Hicks himself.